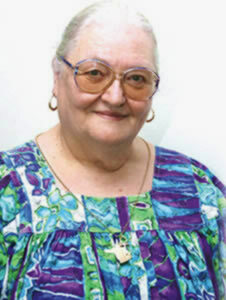 In the world of the occult, Dolores Ashcroft-Nowicki is big news. The head of the Servants of Light School of the Occult Sciences in Britain, Ashcroft-Nowicki is in Trinidad for a week of workshops in increasing one’s personal power through mysticism. Before you break out the holy water and start reciting psalms in defence of your immortal soul, understand that Ashcroft-Nowicki doesn’t consider herself a witch, Satanist or anything like that. What she does, she said, isn’t the craft or even magic – or “magick” as some would have it. “Sacred science comes close to it. Forget magic,” said the smiling 75-year-old, who came into the Guardian office last week. This is her fourth visit to Trinidad; over the last three years she’s delivered workshops similar to those she’s here to give, to small groups. They were invited by word-of-mouth and flyers placed at occult bookshops. Looking for Ashcroft-Nowicki on the Web, you’ll find accounts of some of those “ritual dramas”. For instance, she has presided over a “Herne hunt” – a pagan flight through a forest by moonlight in which participants pretend to be Herne, a mythical huntsman, and his bride Celemon. In myth, those who see the huntsman die or go mad. In reality, as told on the Web site witchvox.com, those who saw the huntsman simply got very drunk.